When I think of Mindless, I educe the many folks that constantly kept reminding and antagonizing me about why do I listen and adore Metal music so much, what sort of treasures did I discover within whatever is considered as mere noise contraption. Well my friends, that is exactly what they are, but it was long time ago, and nearly the entire bunch aren’t my friends anymore and I hate to reserve a grudge. But mindless is mindless; no better term to describe the ignorance. The neck breaking foursome crew of COMA, hailing from the moshpits of Sardinia, Italy, maul the kernel of old school Thrash to modify your peace of mind with their culprit type of disease so you won’t go mindless on them. After a few years of preparations for the big bang, the band’s debut “Mindless”, via Punishment 18 Records, was released to the air, like a virus, to correct a few mistakes against Metal music and in general, against the hateful minds. Searching yourself while listening to this violent distortion will probably lead you to some of the band’s magnetic influences such as SLAYER, KREATOR, DESTRUCTION, METALLICA, OVERKILL, early SEPULTURA among the many that came down that distraught Thrash road. Beware; violence is roaming in your midst, not the friendliest of companions. For one thing, I raise my fist to honor COMA for their resilience as with their first tryout at the belly of the beast, which is the gruesome world of Thrash Metal, they didn’t flinch from trying to be just a little bit more than your average raw Thrash combustions. Generally, especially due to the hefty Italian accent by the screaming younger version of Tom Araya meets Peavey Wagner like, Antonio Sanna, COMA didn’t appear that far from the South American Thrash Metal mosh loving dirt bags, however, their songs showed a certain inner insight to assert craftiness into the rhythms. I wouldn’t go far to recognize these guys as Progressive Thrashers like VOIVOD for instance, but “Mindless” indicated a bit more than the no frills, cracking speed and burning red nostalgic crude riffing, kind of Thrash. “Again”, featuring FORBIDDEN’s chugger, Craig Locicero hammering the lead fretwork, and “Mindless” are a duo of promising examples of a band that tried to outbid the rest of the Thrashers hording the scene with them with several breaks, crafty drumming and a few astute riffing. On the other hand, COMA didn’t also forget that they are stone cold killers, a Thrash Metal band that likes to run fast and furious, more to my liking I have to admit. “…Only Hate”, “Under Attack” and “My Venom Inside” (that ends so abruptly that it hurts after that definitive soloing), chopped mercilessly as Thrashers should, especially if you are a SLAYER fan, along with a few Heavy Metal short term riffs and cutting edge drum inductions. Nevertheless, my main issue with this release is the fact that maybe COMA tried too hard to be assorted, above their character when it comes to their specific kind of music. I know that I mentioned the early prospects, but on the other hand, COMA also showcased tracks that are a bit too much trying to be sophisticated. Really guys, several of the breaks, and cross turns, along with over stretching songs without reason, especially while losing their inertial context, are just way too much to bear. 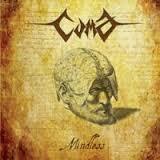 “Mindless” is a good release of banging Thrash, a scream to the sky against hatred, dying for false ideas and closeness. It keeps the old motor running, even if a little banal at times, but also trying to renovate. Sometimes it works and sometimes it doesn’t. Still a must listen.